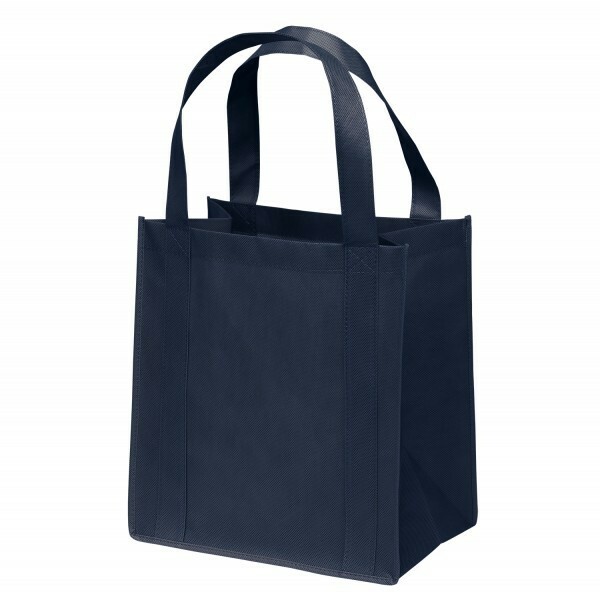 imprint size: 5" x 10"
This non-woven custom shopping bag is made of durable polypropylene, for a choice that is both strong and eco-friendly. 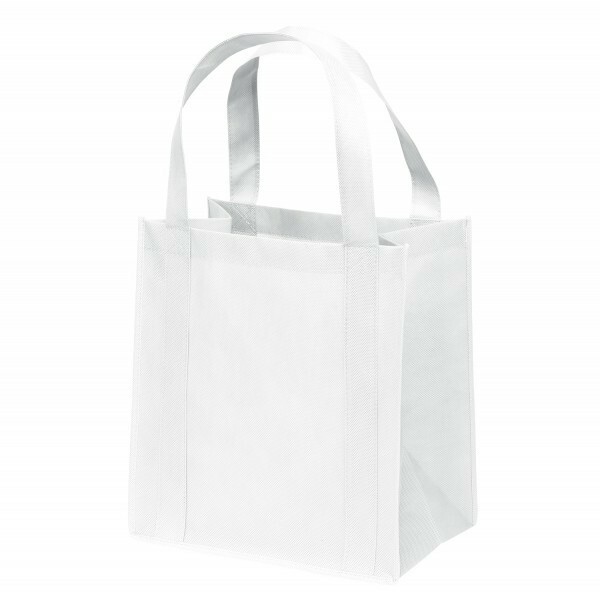 This innovative material is tear- and stain-resistant and is very easy to clean. 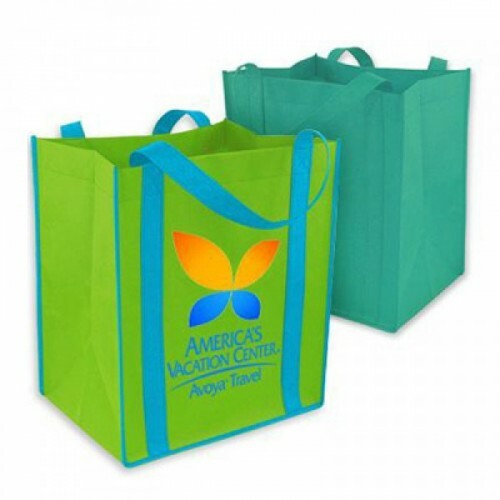 The generous size of these custom shopping bags provides customers with a great deal of room to carry a variety of items in a number of situations, from grocery shopping to picnicking and beyond. 20-inch reinforced handles provide additional sturdiness to the bag and comfort to your customers. 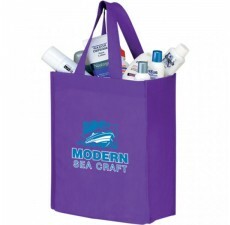 These totes are fully customizable; print your own custom logo to print and match it with a number of great color selections. 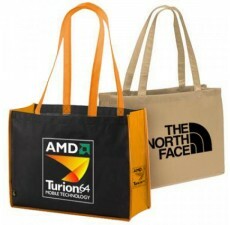 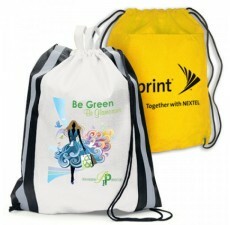 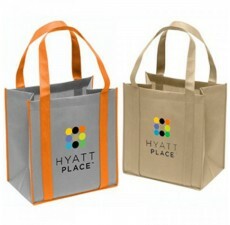 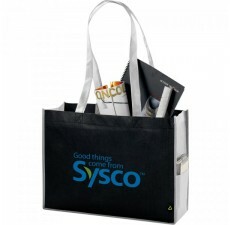 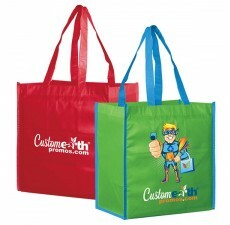 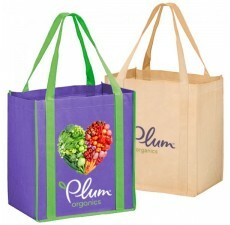 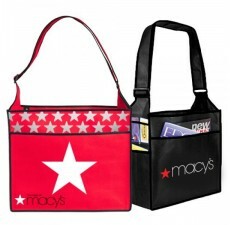 To place your order for custom shopping bags, contact Custom Grocery Bags.